MCT Sequential Two - Hands On! MCT Sequential Two – Hands On! Last week it was exactly one and a half year ago, that I wrote an article about the MCT Sequential TWO for RevoOnline. At that time the watch was not on the market yet and the white gold version I photographed, was still an unfinished prototype. So time to get my hand on a production model, but now in pink gold! Why am I doing another story on the same watch? 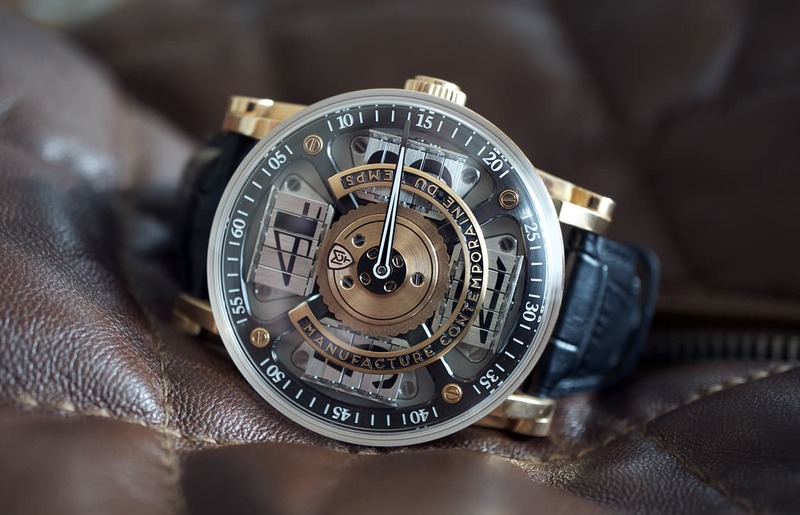 Well just because this is one of the most amazing jumping hour watches (wrong word) that came on the market lately. A moving time display like this, had not been seen before. There is a lot to see, every time when the hour changes and while I know the watch quite well, it still does not bore me at all. 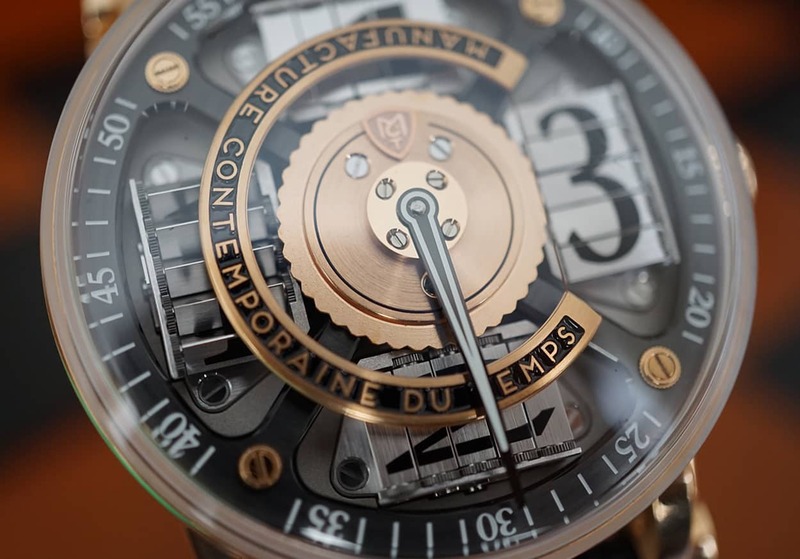 I did use the word ‘jumping hour’ because that’s the category most people will use for MCT watches, but the working of the Sequential TWO is very different from most ‘jumping hour’ watches. Let me explain how this caliber works. Now you will ask yourself, how does this spectacle affect the power consumption. MCT developed the S2 automatic caliber themselves and they have a patented system for accumulation of energy. Unfortunately we could not get any information, out of the MCT team, about how it works exactly, but more important is, that the Sequential TWO is now available and in use, one and a half year amongst collectors and the caliber seems to be very reliable. 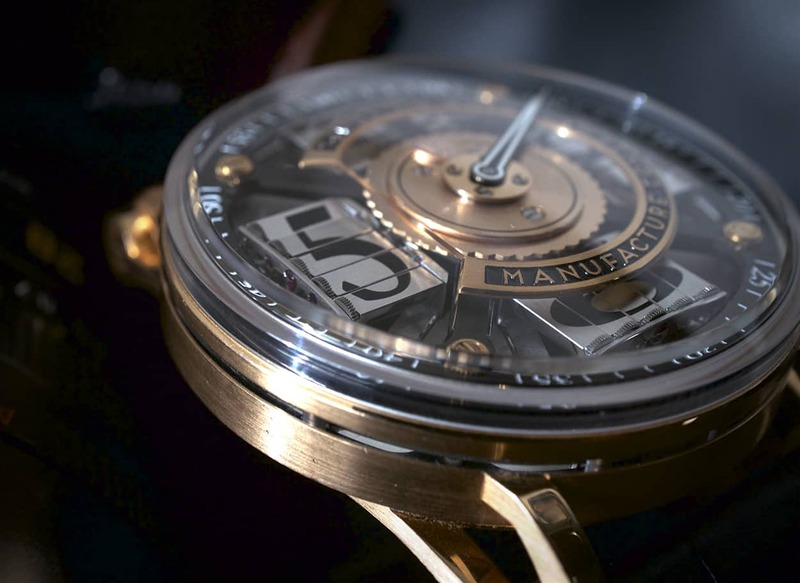 MCT had already the necessary experience with their first (mechanical wind) model, the Sequential ONE, that was released at BaselWorld in 2008. The MCT-S2 caliber runs at a frequency of 18,000 A/h (2.5Hz) and gives you a power reserve of 40 hours. 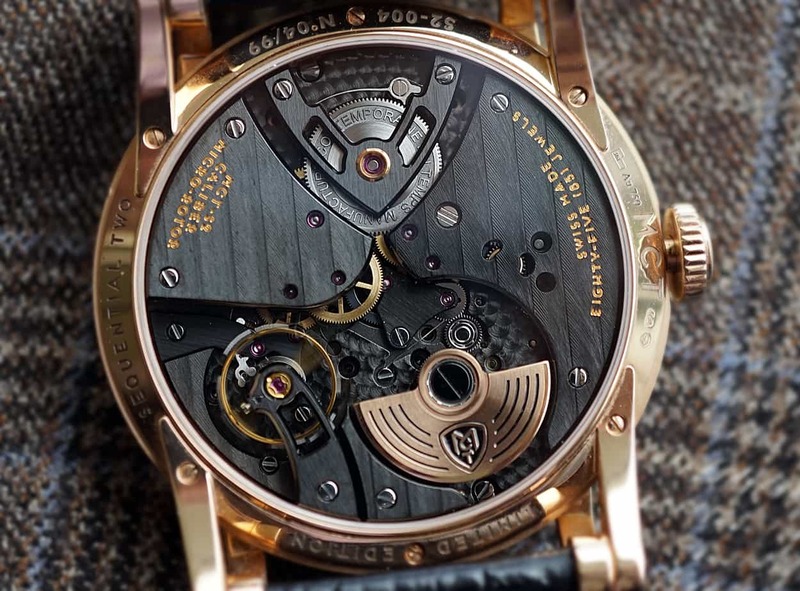 The automatic caliber and the open worked spectacular dial are housed in a 45.6mm round case, composed of 43 parts and crafted from 18 carat pink gold and…. sapphire. That sounds like a lot for a watch case. But when you look at it closely, it becomes clear, that this is not an ordinary case. On the side, all around the case is a sapphire notch, that functions as a mini window, to let light into the case and into the caliber. 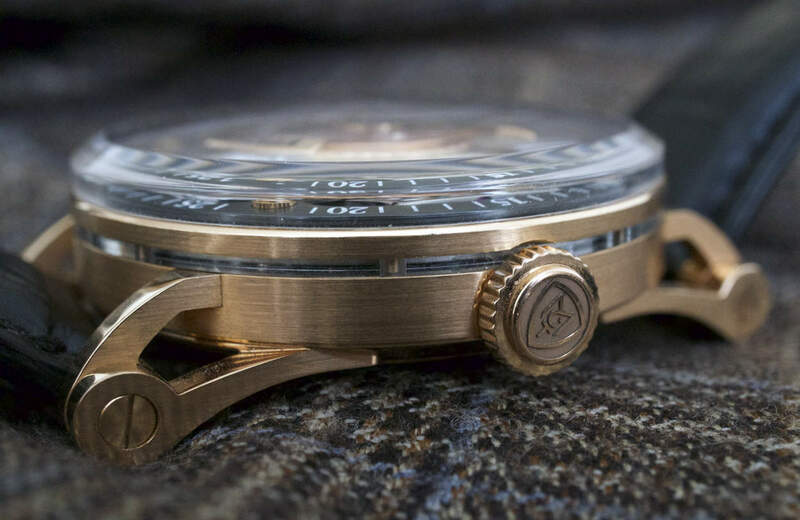 The way the lugs are attached to the case, with the over sized screws is a very nice detail, just like the screws in the lugs itself, that give the watch a very masculine touch. The lugs are open on the side and since they are pretty short, the large case fits easy on a smaller wrist like mine. The front cambered crystal made of sapphire with double anti-reflective treatment and the rear crystal is made of sapphire with anti-reflective on the inside side and the case has a water resistance of 30 meter. 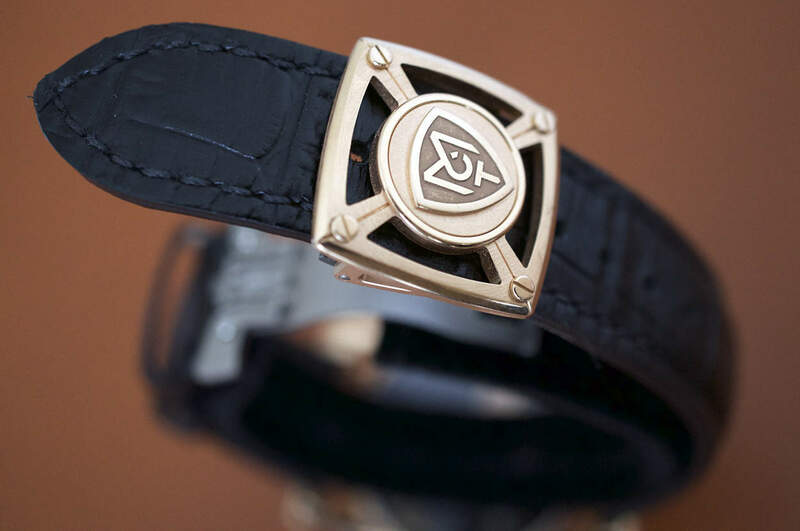 Another detail that needs attention, is the very good looking folding buckle, made in 18K pink gold and titanium. MCT uses alligator, double hand stitched straps with anti-allergic inner leather. The MCT Sequential TWO will set you back about a 100K. Sure that’s a lot of money and I heard already more than once, that one could get a tourbillon for that amount of money. And I can’t and will not deny that. The only fact that these two watches have in common, is of course the high price. A tourbillon is another world, has has always been the ‘creme de la creme’ among complicated watches and still is the holy grail for many collectors. I remember well that around the eighties some top brands used to have just one model in their collection. 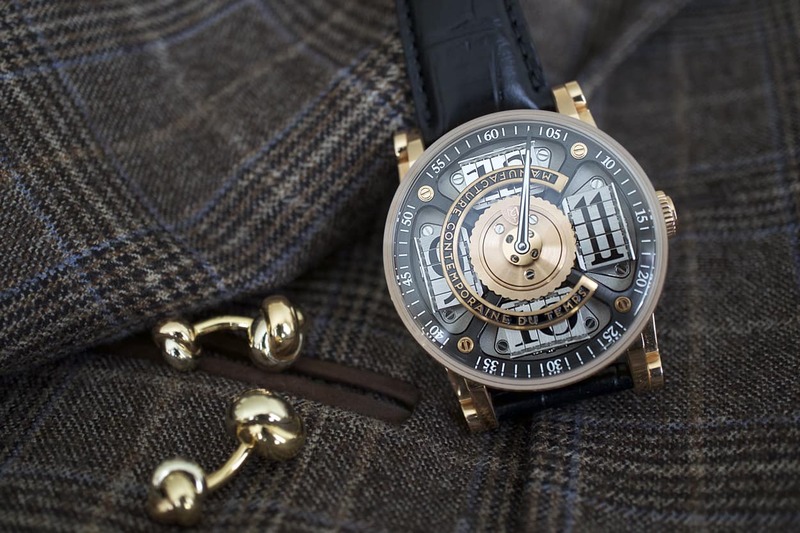 But the status of a straight forward tourbillon has changed dramatically, during the last 10 years. Now I don’t want to spoil your appetite, when you are on the market for a tourbillon, but let’s be fair and with all respect, nowadays a tourbillion has almost become common, and it seems that there are more brands that have a few tourbillons in the collection, than those who don’t. Especially the large brands have taken away all the prestige and exclusivity, a tourbillon used to have, by putting their manufacture movement in every singel case model they have available and release the watch in all colours of gold, with or without diamond setting. Gone is the exclusivity! 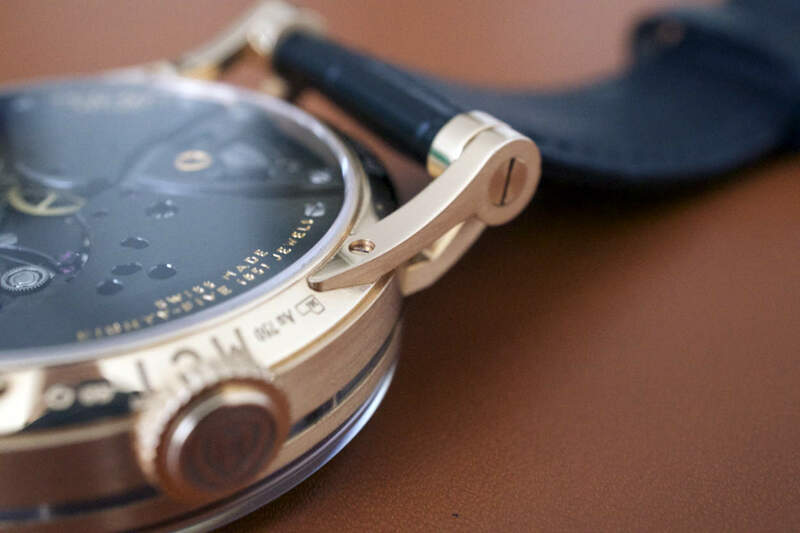 The MCT Sequential TWO, is not the watch with a hole in the dial to show off what kind of timepiece you’re wearing. 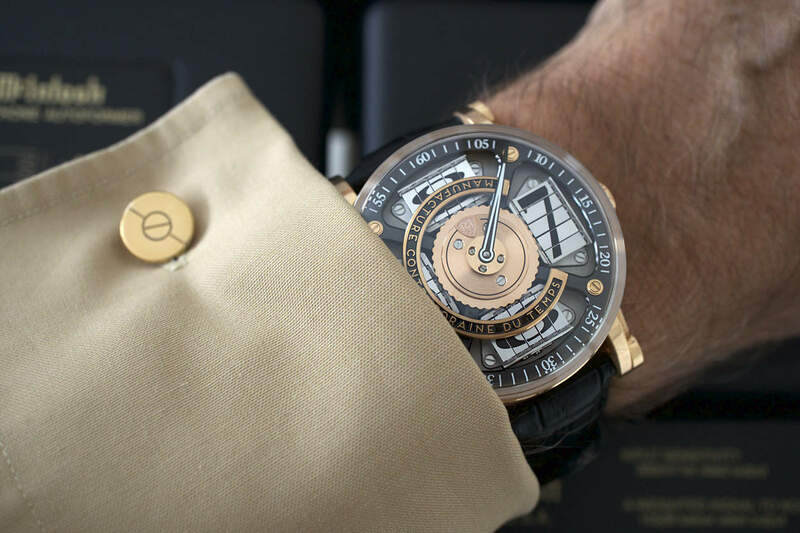 It is a stellar watch with a superb and easy way of telling the time, unique in its kind and also among jumping hour watches. There is no watch that looks and works like Sequential TWO. 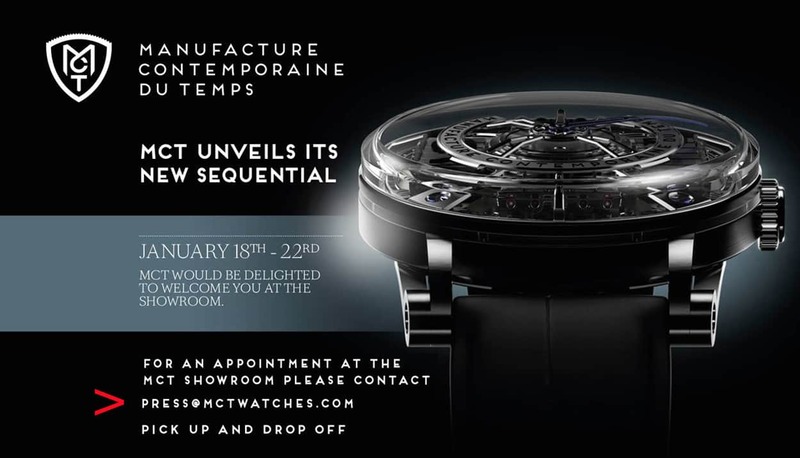 And now be prepared because, during the upcoming SIHH, January 18th – 22nd, MCT will unveil their brand new Sequential at the MCT Showroom, in GENEVA. For an appointment and pick up, please contact the Press department, as indicated in the invitation underneath.